Solomon L. Withey was born at St. Albans, Vermont, April 21, 1820. His family settled in Vermont during the colonial period. The Withey family emigrated to Cuyahoga Falls, Ohio, from Vermont when Solomon was a boy. He attended school until the age of sixteen, when he left home and took employment in Canada as a merchant's clerk for a year. His family moved to Grand Rapids, Michigan in 1837. On a visit home, it was decided that Withey should complete his education and enter the law profession. He returned to Cuyahoga Falls, Ohio, and attended the Cuyahoga Falls Institute for one year. Returning to Grand Rapids, he taught school while studying law in the offices of Rathbone & Martin. He was admitted to the bar of Kent County Circuit Court on May 17, 1843. He practiced law in Grand Rapids from 1843-1863. He also served five years (1848-1852) as a Kent County probate judge, and was elected to a two-year term as a state senator in 1861. The District of Michigan was divided in 1863 when President Abraham Lincoln signed the act creating two judicial districts. Lincoln nominated Withey first district judge for the Western District of Michigan on March 10, 1863; Withey received his commission the next day. Judge Withey also sat by designation in other jurisdictions. During the illness of Judge Hiram V. Willson, of the Northern District of Ohio, he held court at Cleveland; and for one year preceding the resignation of Judge Ross Wilkins, he presided over the U. S. District Court for the Eastern District of Michigan. He declined a nomination to the United States Court of Appeals in 1869. George Reed wrote in Bench and Bar of Michigan, that Judge Withey "appreciated the compliment paid to him in being thus chosen" but that "his higher duty lay in his own State and in the performance of the duties of District judge." 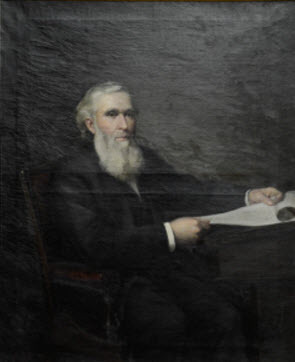 While serving as a federal judge, Judge Withey was chosen as a member of the 1867 and 1873 Constitutional Conventions and appointed chairman of the Judiciary Committee at each convention. He also served as a director of the First National Bank of Grand Rapids. Judge Withey was a life-long member of the Congregational Church after joining in 1848. Judge Withey married Marion Louise Hinsdall on December 24, 1845, and they were the parents of six children: Lewis Hinsdale, Adelaide Marion, Edward William, Chester Henry, Eleanor M., and Charles Shepard. While visiting his daughter in San Diego, California, Judge Withey died April 25, 1886, and is buried in Oak Hill Cemetery, Grand Rapids, Michigan.